Allow the legendary tradition of Darby Dan and our continued success work for you in the sales ring. At Darby Dan we are truly “dedicated to our clients” and relish the opportunity to provide personal attention from every member of our sales team. Since the inception of Darby Dan, buyers from all corners of the nation and furthermore the globe have returned to our consignment year after year. With a history of presenting thoroughbreds destined for distinction at all financial levels. Buyers continue to return with confidence at all sales with the aspiration of creating their own history. As we stand witness to the current resurgence of the market place, there has yet to be a more positive outlook to the commercial arena. In 2014 the continued growth of the Darby Dan consignment, combined with the tremendous success both in the sales ring and our graduate’s performances on the track shows there is yet to be a more advantageous partnership established. Highlights include: the sale La Cloche for $2,400,000; the sale of Taris for $2,350,000; the sale of a Street Cry-Winter Memories colt for $400,000. At Darby Dan our commitment to our clients commences long before each horse is offered at public auction. We truly enjoy the process of being involved from the earliest stages. With the ability to provide both insight and assistance in producing the highest quality individual so that each horse maximizes its potential. We are pleased to provide clients with continuous reports on their bloodstock holdings throughout the year as a result of farm inspections. From those inspections we are able to give current valuations, along with advice on where and which sale will best suit each individual. Including securing the appropriate book placement, to allow your horse to reach its desired market. The long standing history of Darby Dan, partnered with our reputation means both our clients and their bloodstock are represented at the highest level. 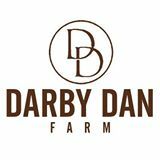 At all phases both presale and post sale Darby Dan has flourished for over the past half century due to the success of our clients. When we say “Devoted to the horse. Dedicated to our clients” it is our way of life. Your success is paralleled to ours and we look forwarded to servicing your needs. Please contact Carl McEntee our sales director, or Renee Logan our regional sales director for further assistance.